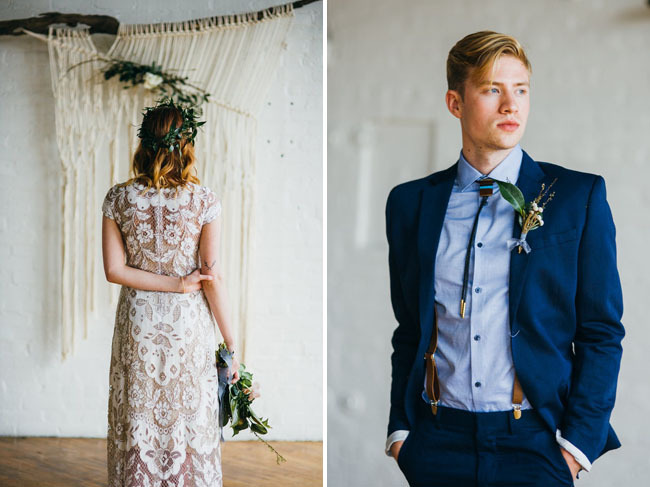 The inspiration for today’s romantic editorial began with the idea to modernize the free spirited feel of the 1970s. 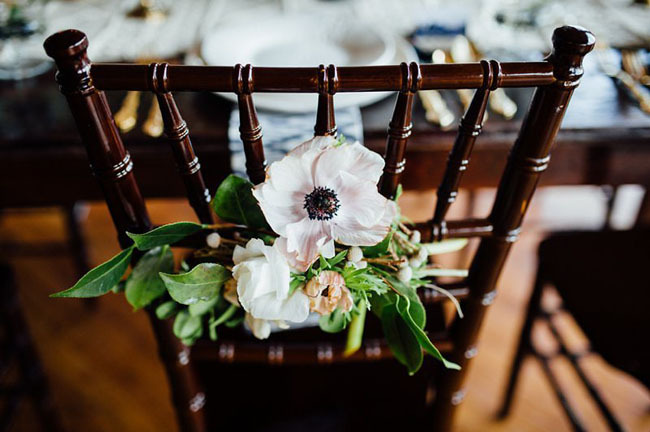 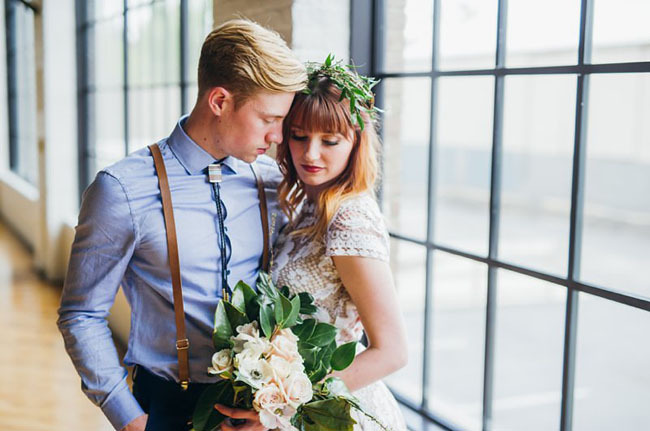 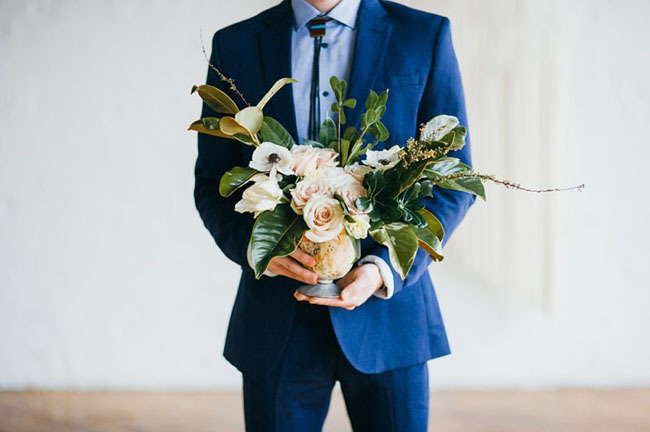 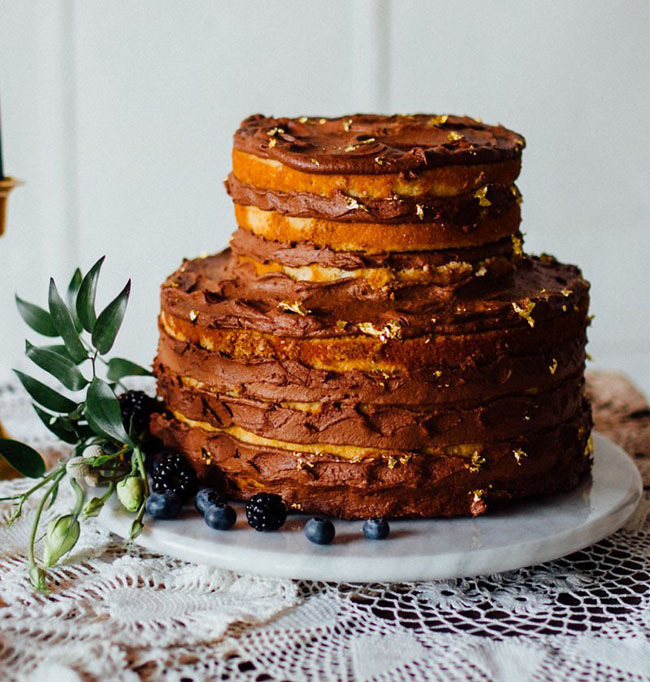 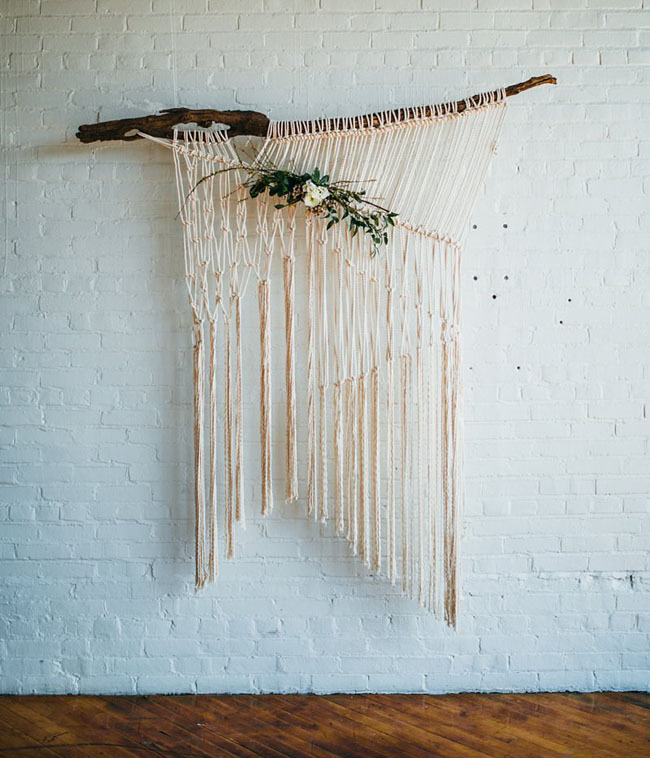 An era filled with macrame, neutral hues + laid-back details, it’s the perfect jumping off point for designing a stylish wedding! 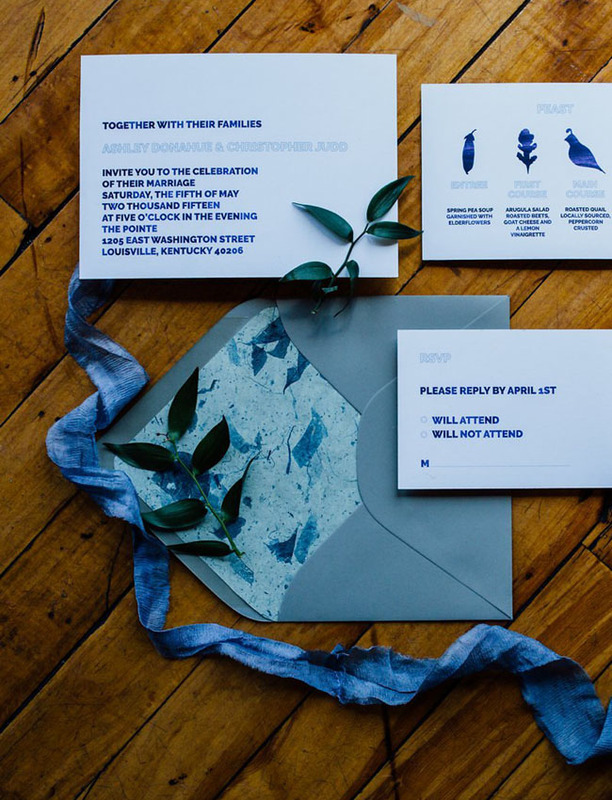 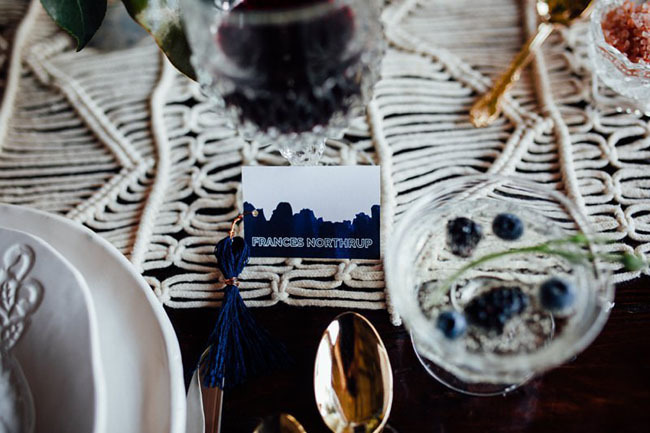 Love the pretty, indigo paper goods by Brylo Studio! 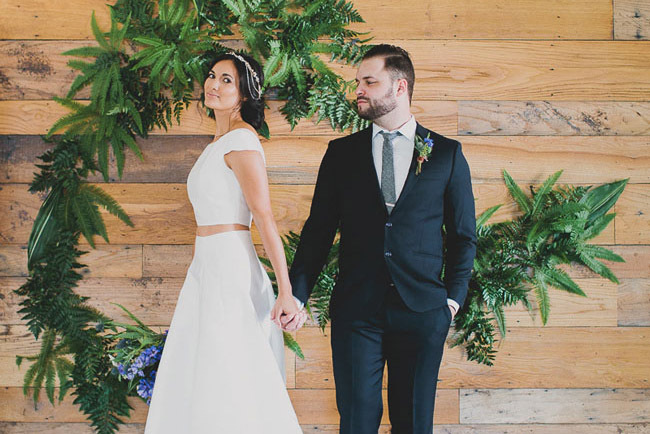 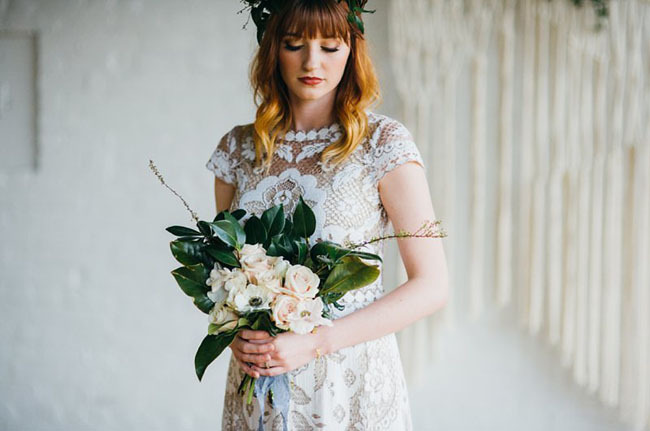 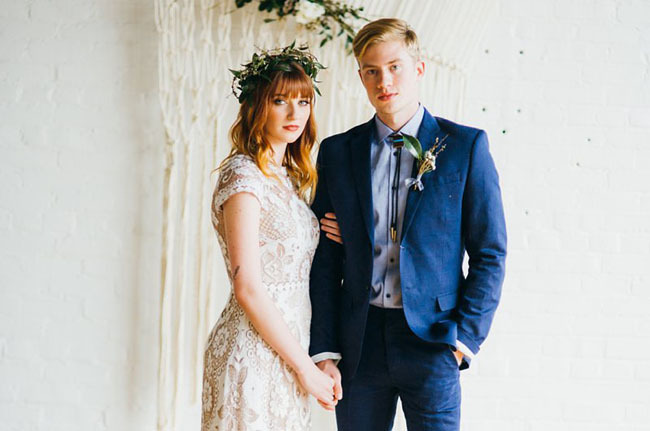 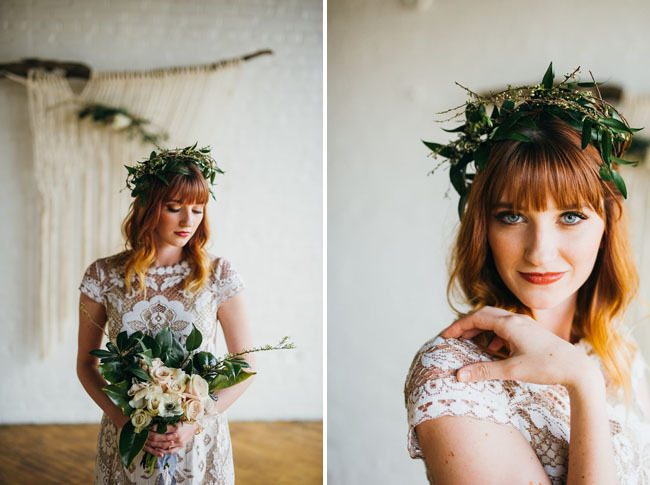 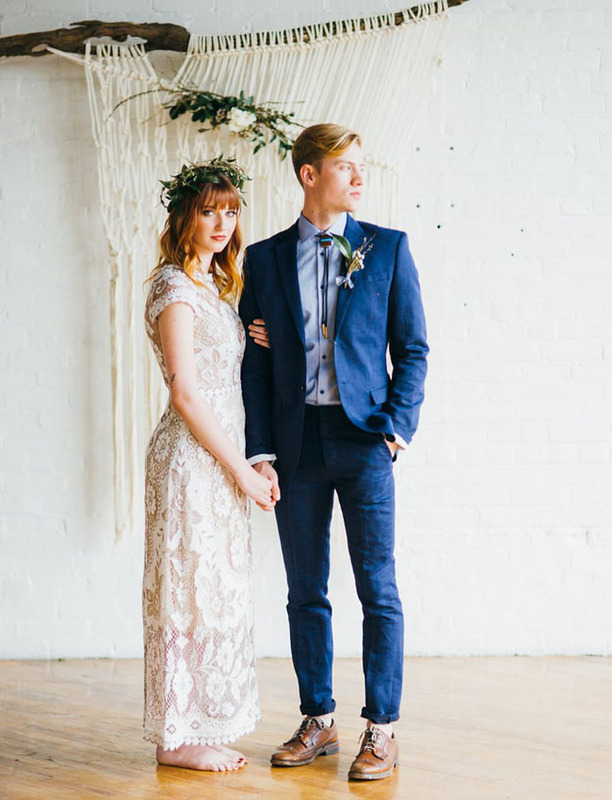 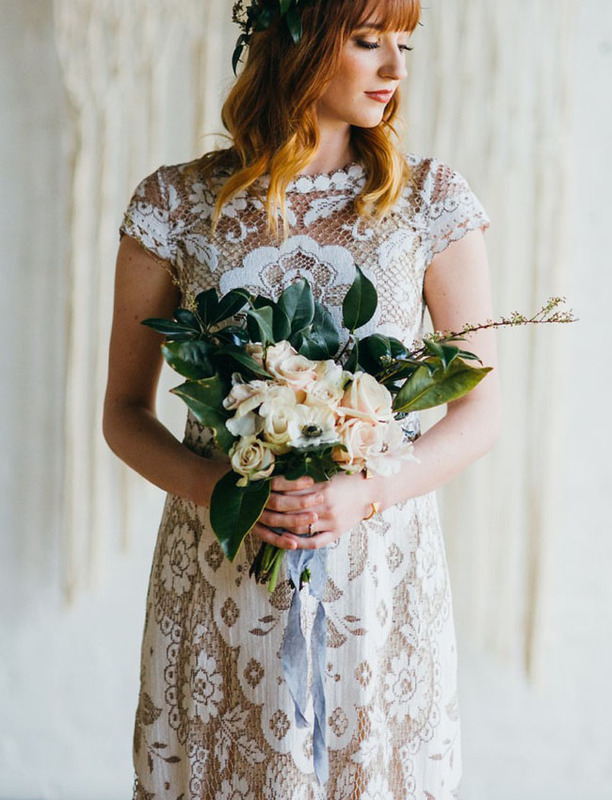 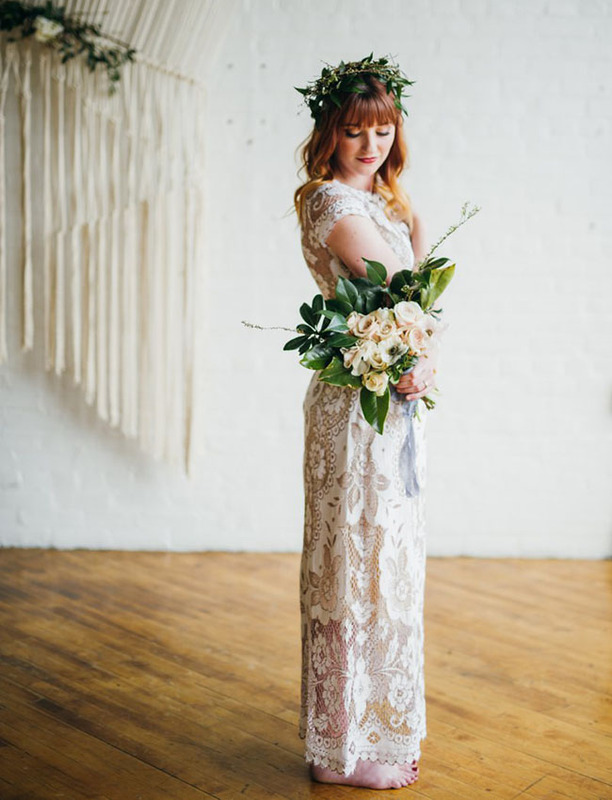 The lace gown, by Lost In Paris, was an ideal match for Erin’s natural + romantic vision. 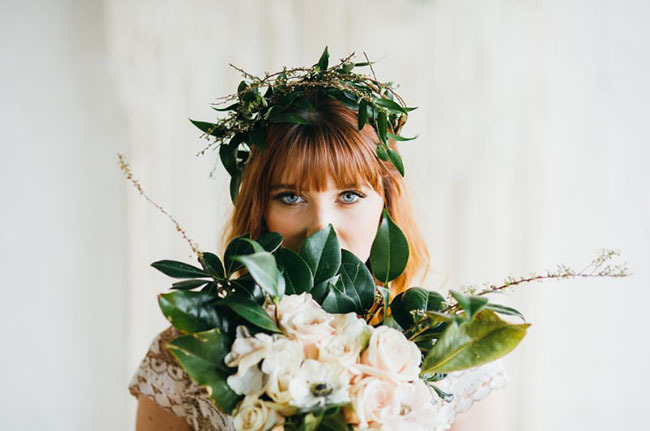 And Tiffany Collins added some whimsical blooms to the mix to further further perfect the look for the shoot! 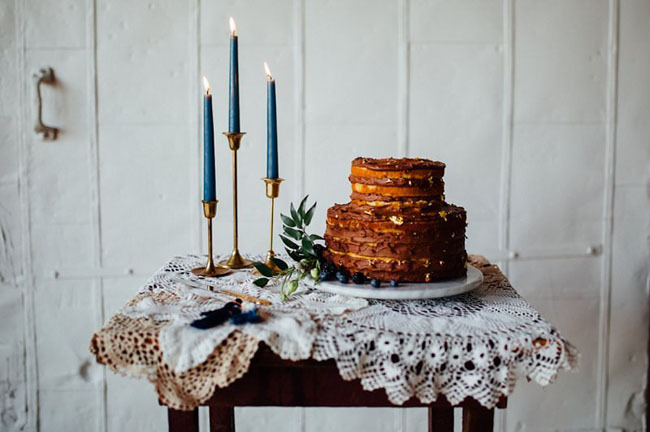 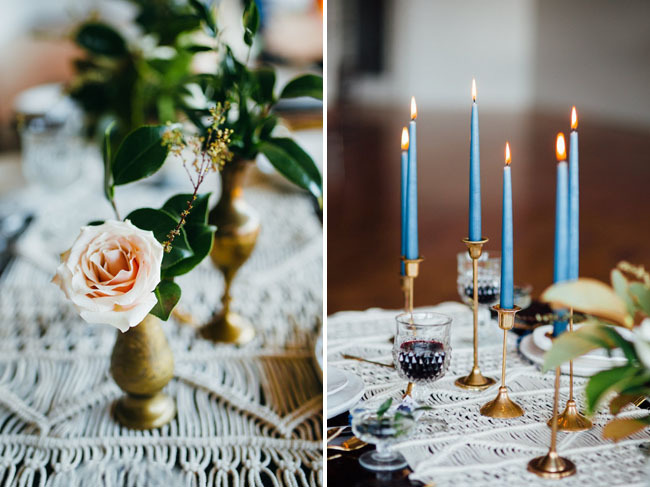 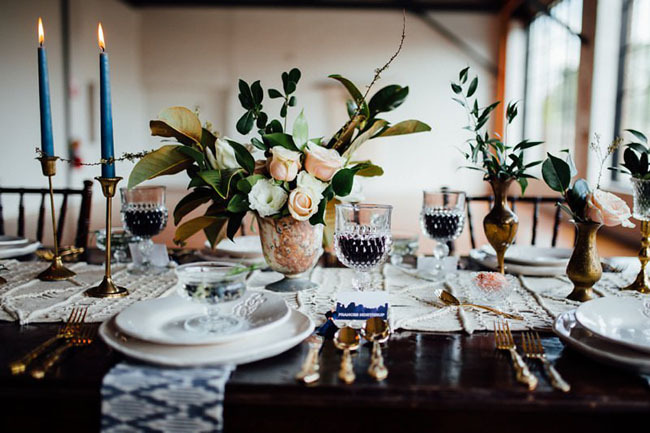 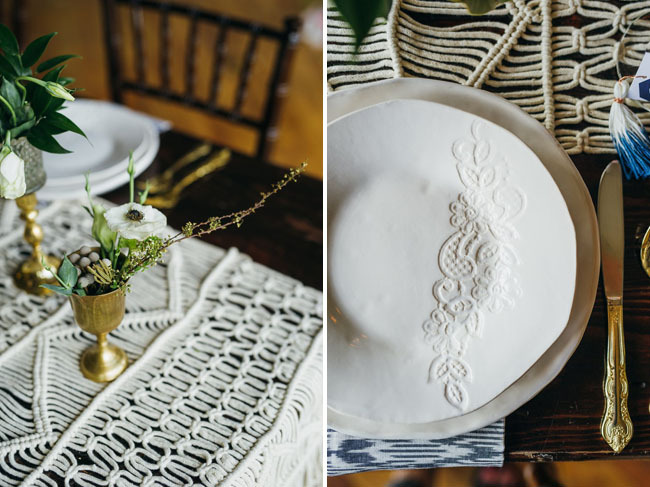 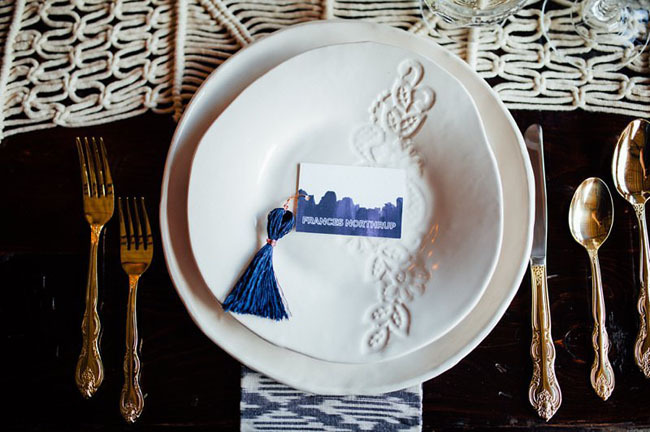 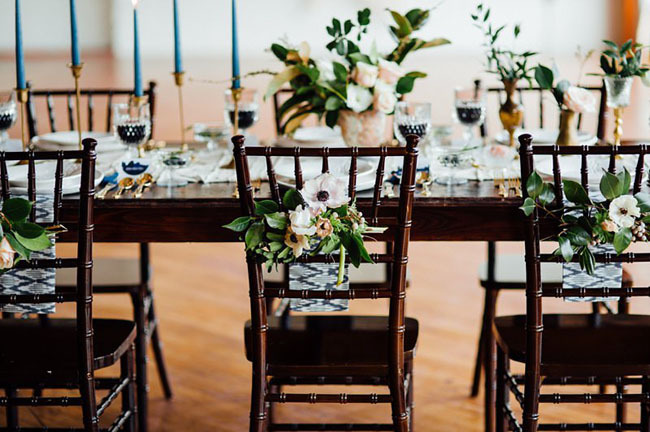 Steal this table’s gorgeous look with a macrame runner, brass vessels, blue taper candles + lace-pressed pottery plates! 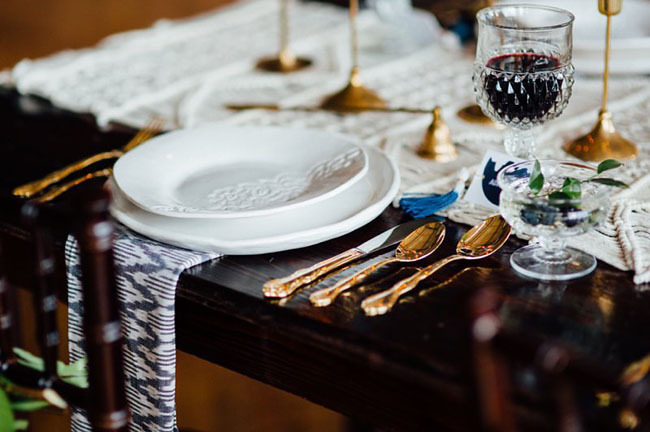 As we all know, the magic is in the details. 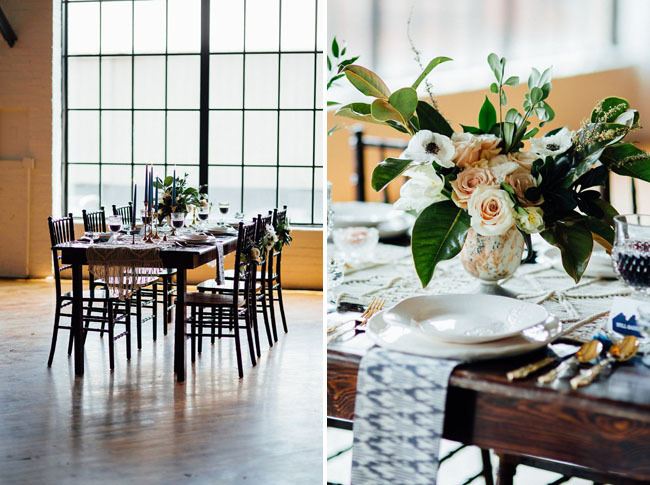 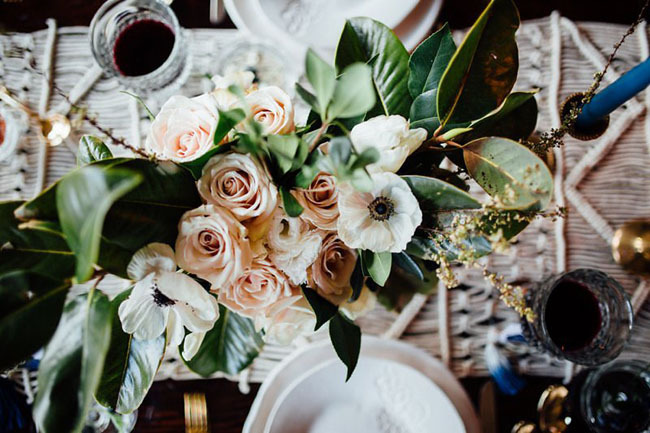 We love how the team below took a modern venue and added several handmade details to bring a unique element of warmth and romance to the day!